Technology advances at lightning speed - in the blink of an eye, developments and updates on mobile apps, smartphones and smart TV’s can easily be missed. Today in 2016, it is fair to state that mobility is ‘large and in charge’ and that the tech landscape has strikingly changed from just a few years ago. In fact, mobile aspects haven’t just caught up with desktop - they have long surpassed such functions and are literally trampling the competition. 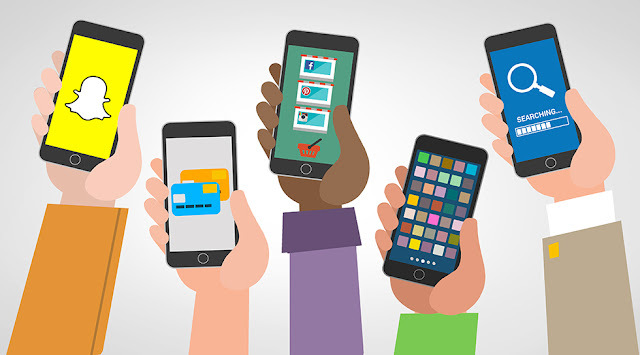 The emergence of larger smartphones and wearable technology increased mobile-demand; a study from IDC states that more than 2 billion of the 3.2 billion people on earth who access the web will do so from a mobile device, thus pushing app developers to perfect their mobile designs. With such numbers in mind, here are the Top 5 Mobile Trends for 2016! Wearables is the term used to define specific, intelligent gadgets such as the Apple Watch - listed amongst the most popular. A prediction has been made for the year 2016: the wearables market will increase an average of 18.4% from 2015. In other words, about 50.4 millions units would be sold! Clearly enough, a pertinent demand is present within apps that can delivery clear and concise data at a simple glance. As a result, this year’s designers and developers find themselves competing against one another, in the race to create user-friendly, functional applications for wearable gadgets. In the past it was trendy, or at least part of the norm, to have largely text-based mobile applications. The reason for this was simple: faster loading over a slow connection. With the advances in Wifi, Bluetooth and overall speed capacity, slow connection is much less of an issue - paving the way for unencumbered, clear and easy to read apps instead. Traditionally, colors are sought to create strong and loud contrasts - leaving a remarkable impression on the user as well as facilitating the reader’s experience. However, the trends defined so far in 2016 go against this mainstream, conventional lesson by offering softer, warmer color schemes and subtle tones. This complete turnaround in mobile trends is in fact deemed to be rather positive. Toning down the contrast a little as well as using simple textures and patterns is in fact much easier on the eye, permitting for a better overall user experience. It is for this unique reason that today, even some of the most current websites are making the decision to move towards a more subdued form of color scheme. Estimates state that by 2020, 6 billion people worldwide would be considered smartphone users. This is specifically why designers today are working towards globalizing mobile gestures and in turn, accommodating a wider range of products. Currently, there are about 15 gestures that are considered common and global such as Tap, Swipe, Pinch and Rotate. However, with constant growth pertaining to the mobile industry, significant improvements still need to take place in order for users to have access to a wider, more intuitive range of motions. Furthermore, certain gestures have yet to be abolished and replaced by more general ones. An example of such would be the removal of less appealing gestures such as Shake and substituting it for Swipe - which is more comfortable and natural for the hand. As 2016 continues to run its course, designers will face the challenge of adequately communicating functional elements. In other words, expect to start noticing subtle 3D elements, gradients and lighting effects now known as Flat Design 2.0. This is due to the overall criticism that the current flat design lacks significators, failing to alert the user that the icon can be tapped or swiped. Further still, Flat Design 2.0 mimics the natural world, casting shadows and creating weight. When needed, such effects can even be muted - which can sometimes be easier on the eye.